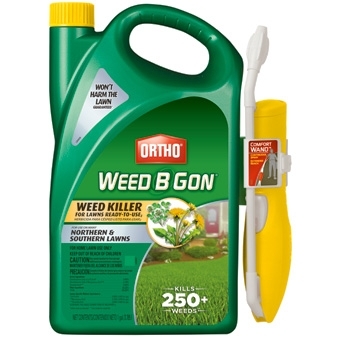 For use on many northern and southern lawns. 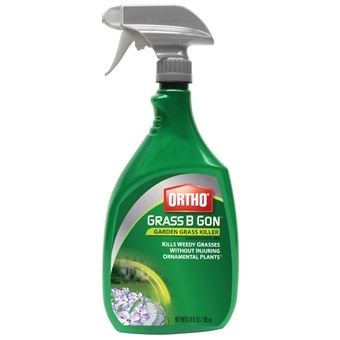 This kills over 250 Listed Weeds to the root and does not harm your lawn grasses! This is meant to be used for spot treatments in the lawn. Also available in a 24Oz RTU Spray Bottle & a 32Oz RTU Hose Attach Sprayer. 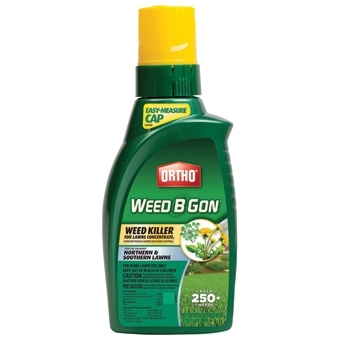 *Consider using this concentrate to re-fill your Hose Attach Spray Bottle. Without proper edging, the landscape bed of your dreams can lose its shape and quickly become a nightmare. That’s where Easy Gardner’s Emerald Edge® comes in. 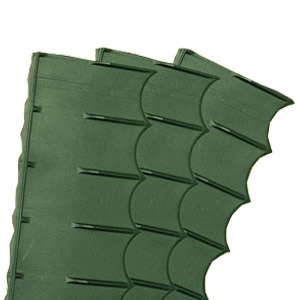 This attractive, long-lasting plastic edging is easy to transport, cut and install. No trenching or digging is required – simply hammer into the ground. Sections connect to form a continuous border, and are flexible enough to follow curves with ease. The versatile living-hinge connector will make angles up to 120 degrees. The 100% recyclable plastic is safer than metal and won’t rust, rot, crack, chip or fade. Emerald Edge comes in green 4 foot sections that are 5 inches high. You don’t have to sacrifice style with this economical, functional alternative to lawn edging. Each piece is 22 inch long and connects to form a continuous border. 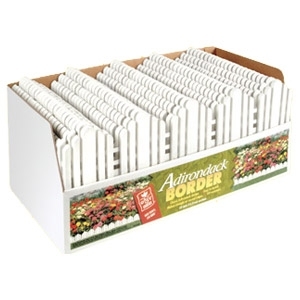 Adirondack border is made of a highly flexible, UV protected plastic and has galvanized steel rods for easy installation. 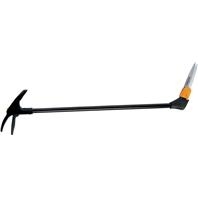 Easy Gardener Adirondack Border effectively holds bark, rock or marble chips in place around trees, shrubs, or flower beds. It is available in bright white, forest green, and sienna red. Grass-B-Gon™ Grass Killer for Landscapes kills Bermuda grass, annual bluegrass, barnyard grass, quack grass, and many other annual and perennial grasses. It is rainfast in hours and is ready-to-use, no mixing or measuring. Safe to use around ornamentals, ground covers, evergreens and shrubs.